Romantic and distinctive, the feminine curves of oval cut gemstones are beautifully complemented by our collection of oval engagement ring settings. 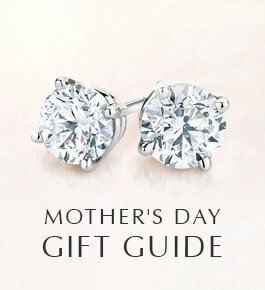 A modified brilliant cut, oval diamonds sparkle exquisitely in a unique, elongated shape. 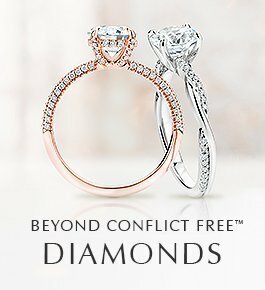 Often set in rose gold for a vintage feel, with side stones for extra shimmer, or in a classic solitaire, an oval engagement ring is a stunning choice. Diamonds have been cut into oval shapes for many years, but it wasn’t until the 1960’s that the modern oval cut was popularized. In 1957 Lazare Kaplan, nephew to famous the diamond cutter Abraham Tolkowsky, created the modern oval cut—this diamond cut exhibits the sparkle of a round brilliant cut diamond in a more distinctive, elongated shape. 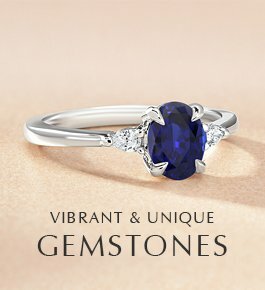 Not only are they beautiful, but oval shaped rings also offer great value. Oval diamond rings often appear larger than other diamond shapes of equal carat weight. This is because the oval diamond’s elongated shape maximizes its surface area, resulting in a larger appearance. Oval engagement rings are becoming more sought after than ever. An elegant alternative to the traditional round diamond ring, oval cut engagement rings make for a stylish, slender appearance while exhibiting the same brilliance. 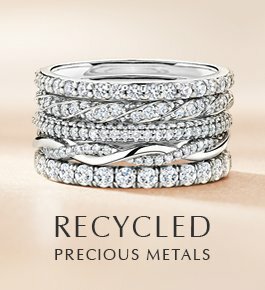 From beautiful oval halo engagement rings to vintage-inspired and modern east-west designs, Brilliant Earth offers a variety of unique oval engagement rings. 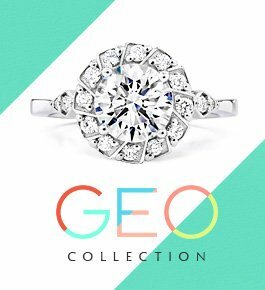 Oval diamond engagement rings are a great option if you are looking to maximize brilliance and value, while standing out from a crowd of round diamonds.